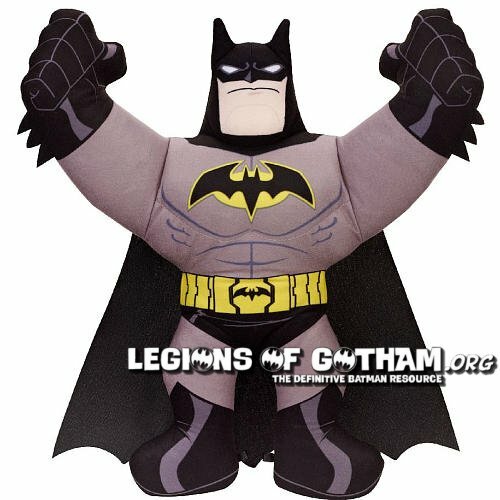 This plush figure gives BATMAN fans of all ages the chance to fight alongside their favorite Superhero! The soft-body figure is tough enough to take roughhousing, soft enough to squeeze, big enough to take on any criminal and bold enough to declare it. Boys can activate a variety of BATMAN phrases, as well as battle sounds, to amp up the crime-fighting action; they simply make contact with the BATMAN logo on the figure's chest. Criminals beware as a new dynamic duo is in town!